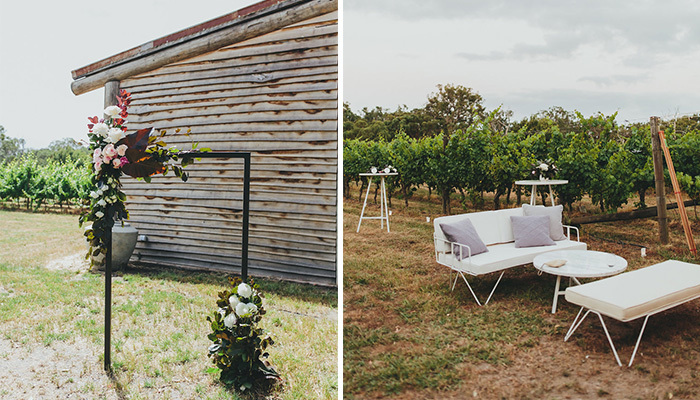 Surrounded by beautiful flora and fauna native to the area, 6 acres of grape vines, an exquisite country style garden, a heart-shaped dam with a timber deck and jetty for photography, Tanglewood Estate is the perfect picturesque hideaway to hold wedding ceremonies, special anniversaries or milestone celebrations. A newly built natural timber, pole frame barn that will seat between 150-200 people. The interior is constructed from recycled materials giving it an authentic, rustic feel. Large sliding doors open up onto the view of the 25 year old vineyard. The Barn can be used for your wedding ceremony or reception. 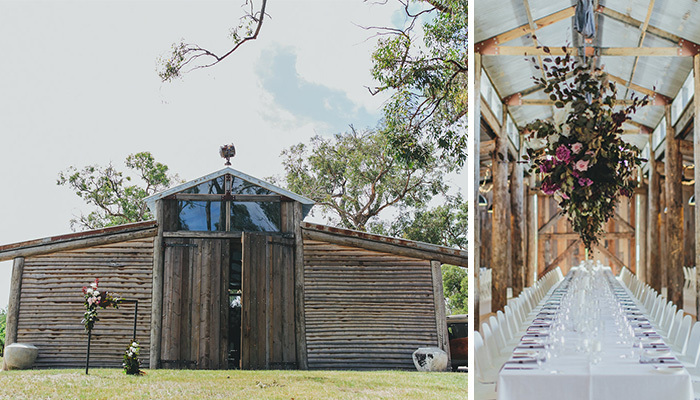 This gorgeous mud brick building was a former artist studio; it has been revamped into an ideal venue for pre/post ceremony drinks or small cocktail weddings. It has a kitchen, bar and upstairs lounge. A beautifully renovated Winery that seats up to 130 people. Fitted with a new state of the art commercial kitchen, bar and outdoor courtyard area. The Winery has a large timber deck that looks out over our beautiful dam and Port Philip Bay. 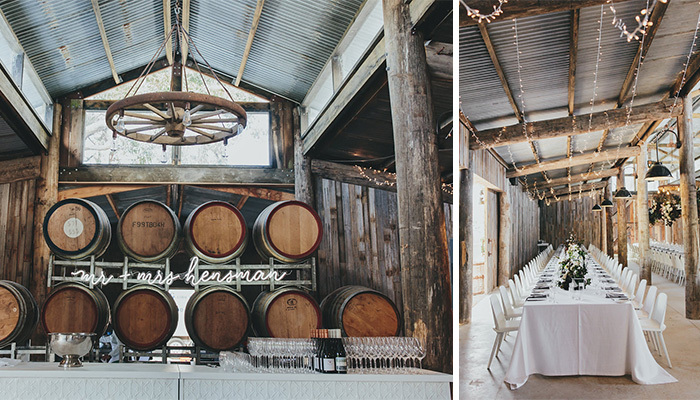 The winery can be used for the ceremony or reception. what makes it a great venue for your next event? Tanglewood Estate’s newly renovated and refurbished architecture boasts a stylish and modern take on traditional country aesthetic, built of natural woods and rustic sheet metals. The finest attention to detail and care has been taken in the exterior and interior design of the property, to ensure the presence of it’s classic Australiana feel is preserved and continues to live on for many years to come.